Standard Poodles has been a member of NextDayPets.com since January 2012. 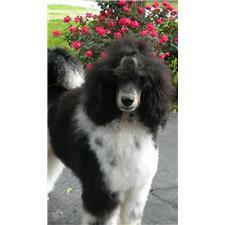 Located in Kansas City, Missouri, we currently breed Poodle, Standard puppies. If you have any questions or are interested in any of my puppies, please contact me today. SOLD Champion Pedigree parti standard poodles "Molly"